If you are looking for a chocolate box dual-season village resort, Samoëns will without doubt live up to your expectations. Buy an apartment in Samoëns in the heart of the Grand Massif and enjoy all that the mountains have to offer both in the winter and the summer in a preserved natural environment. A ski resort for all abilities. 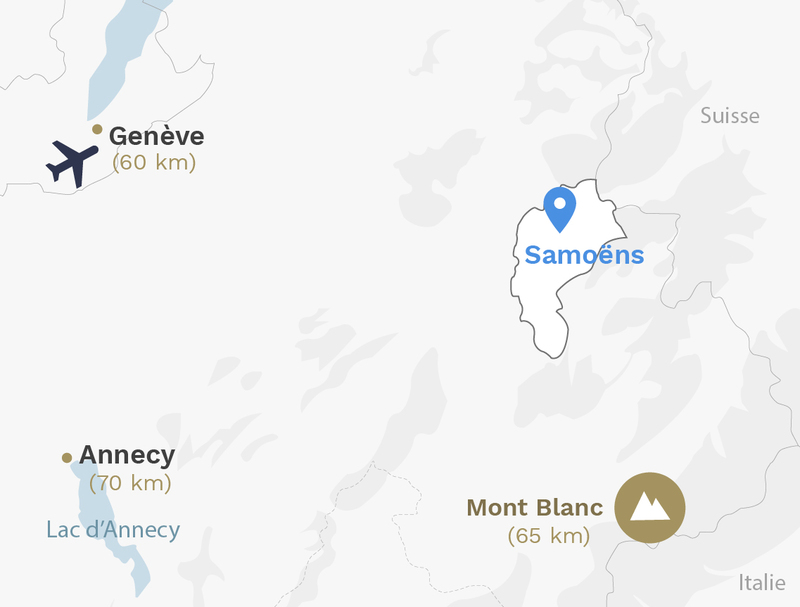 At an altitude of 1600 metres, the Samoëns ski area enjoys quality regular snow coverage throughout the season, Samoëns is renowned for its spring skiing. The resort’s little extra is its dedicated beginners’ area which is one of the largest in France. More experienced skiers have not been forgotten with a fantastic range of more advanced downhill slopes. The Grand Massif boasts 265 km of ski slopes and five resorts Flaine, Les Carroz d’Arâches, Sixt Fer à Cheval, Morillon and Samoëns. In summer, family walks and hikes await you: walk along the banks of the Giffre river, walk to the Lacs aux Dames in Morillon, do the tour of Les Dents Blanches... the Grand Massif has no shortage of hiking routes.